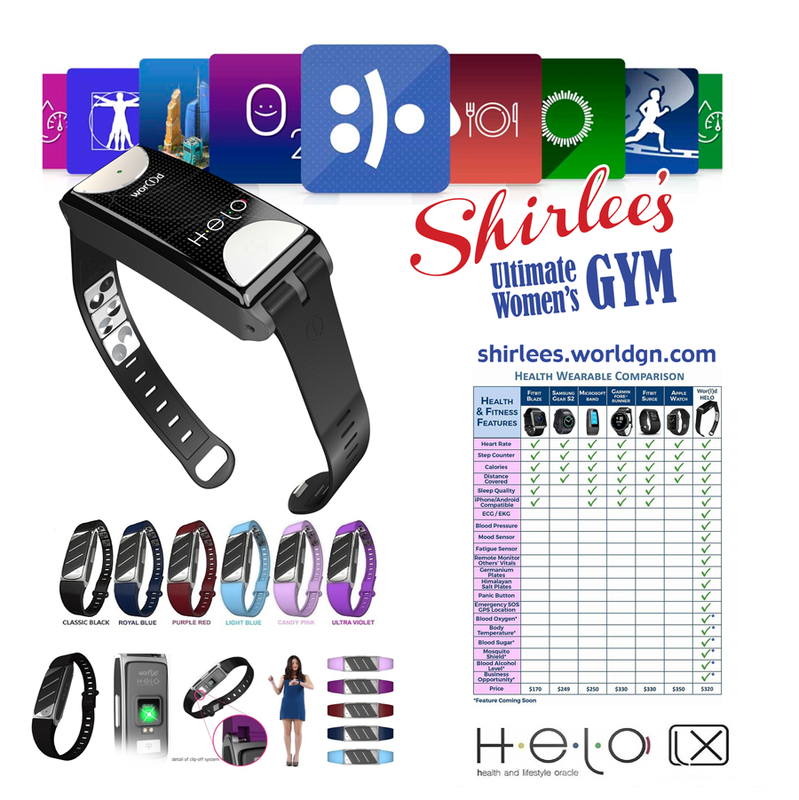 Shirlee’s Ultimate Women’s Gym now offers the Helo LX (Health and Lifestyle Oracle) smart band. This fitness wristband allows you to capture a wide range of health data, perfect for helping you take charge of your own fitness. You can see what your body is doing at an instant, and you can also track trends over time. With numbers available at each workout, the Helo helps you monitor your efforts and achieve your goals. An added bonus is that the device can also be used as a panic button, a useful feature to monitor loved ones. The market for health tracking devices has grown tremendously in the last few years. If you compare the Helo to other devices, you will see it offers the most features, and even more features will be added in the near future. If you would like more information on the Helo, please ask at the front desk. You can learn more and order the Helo from shirlees.worldgn.com. Fitness trackers make great gifts for the holidays, so check out the Helo soon.